I believe in Agile. To the best of my knowledge and based on my experience, Agile methods are the best way for teams, organizations and communities to get stuff done. Doesn’t mean it’s easy though! The biggest challenge of Agile is in the need for truthfulness. Scrum Rules Cheat Sheet – Updated! A few weeks ago, after my last update of the Scrum Rules Cheat Sheet, I decided that it might be a good idea to ask Ken Schwaber about what I had developed… He immediately asked if I had checked it against the rules listed in his book Agile Project Management with Scrum. Of course, I hadn’t. In fact, although I’ve read the book, I neglected to read the appendix in which the rules are contained. So, I read it and updated the cheat sheet. I found that there were a few rules that I was “assuming” because I work with Scrum so frequently. As well, there were a few rules that I actually didn’t remember. The cheat sheet is now getting to the point where I would like to break it into two pages, but then it wouldn’t be a cheat sheet anymore… so with smaller font size… presenting, the new and improved Scrum Rules Cheat Sheet. Here is the original article about the Scrum Rules Cheat Sheet. A sister site to Agile Advice has been moved into “pre-official-launch” stage: Agile-Support.com. This is a site for individuals to discuss agile methods, for downloads of various resources, and, if you register, to host blogs and other content development by individuals wishing to do so in an online community setting. Think of this as the “beta” launch: there are probably still many kinks to be worked out. The Toronto class coming up in one week still has spots, the Ottawa class in November is nearly full, and the Beijing course pre-registration discount is almost over! Please sign up for a course today! I’m organizing a 3-day ScrumMaster Certification course in Beijing to occur on the 19th-21st of December. I need several more people to express interest in the course before I can confirm it. For those who “Save a Spot” early, there is a 20% discount available. This discount is only available until Oct. 20th. At that time, I will see if the required number of people have signed up and then make the final decision if the course should go ahead. If you or someone you know is interested and would like to receive this training in Beijing, please “Save a Spot” right away so that I can count you towards ensuring that the course does go ahead! Please sign up here! 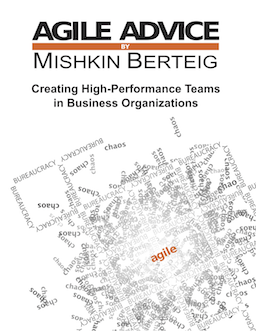 This looks interesting: Agile Daily. This is an aggregator site like technorati or Agile Planet (seemingly defunct now), but with some interesting twists described in more detail at SocialRank.com. Apparently, SocialRank.com is setting up aggregator sites that are meant to also be community sites… maybe a little like InfoQ? Interesting experiment: it’s quite new so we’ll see what happens.